What I know about photonovel was limited to what I know from my parents. My mother used to tell me about the times how she and her friends read and exchanged photonovels in summers when she was a student, and my father used to tell me off like "so what, are you going to put a makeup and read photonovels at home" when I complain about business life. To me, photonovel is something to pass the time in summers, a fun activity smelling sand and sea. When I read that photonovel was considered in these terms in Ayfer Tunç's book "Bir Maniniz Yoksa Annemler Size Gelecek: 70li Yıllarda Hayatımız(1)" I was a bit relieved and sad at the same time. Though I saw and admired these books which were replaced by romantic TV series today, in secondhand bookshops and flea markets, and started collecting the ones I like the photos of. I did it spontaneously, without ever questioning what I did or what photonovel is to this day. 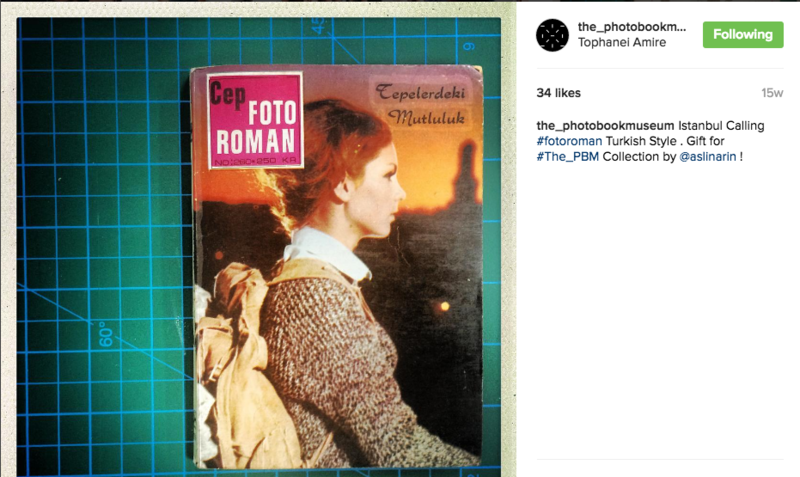 Until I participated in Markus Schaden's - one of the founders of Photobook Museum - photobook workshop, and he asked me to donate my photonovel which I brought with me to The Photobok Museum. 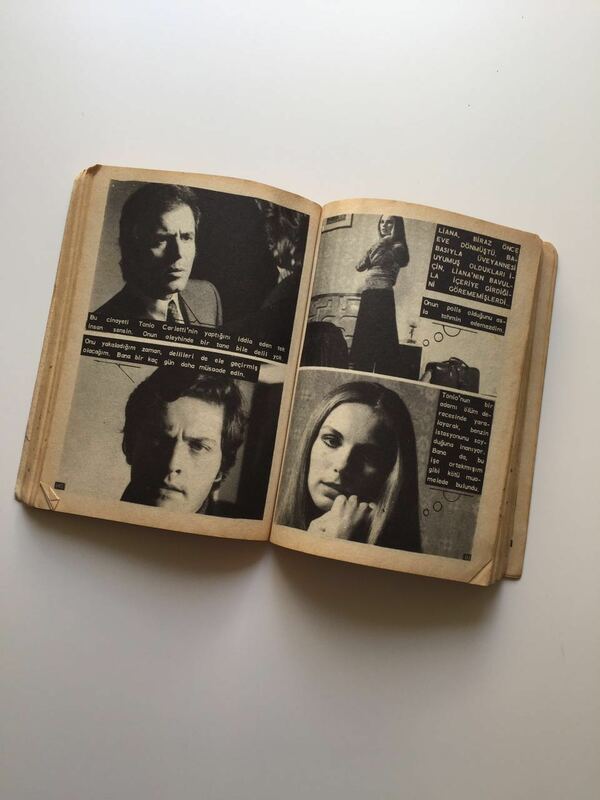 As it is well known, photonovel is a medium which is comprised of photos and a storyline, in which the photographs are accompanied by texts. This way of narration, first came to light in 1947 in Italy. Although there are debates as to what the first photonovel is, in general, the series " Nel fondo del cuore-From the Bottom of My Heart" published in the weekly Italian magazine "Il Mio Sogno-My Dream" considered to be the first one. In Turkey, photonovels began with movie photonovels. 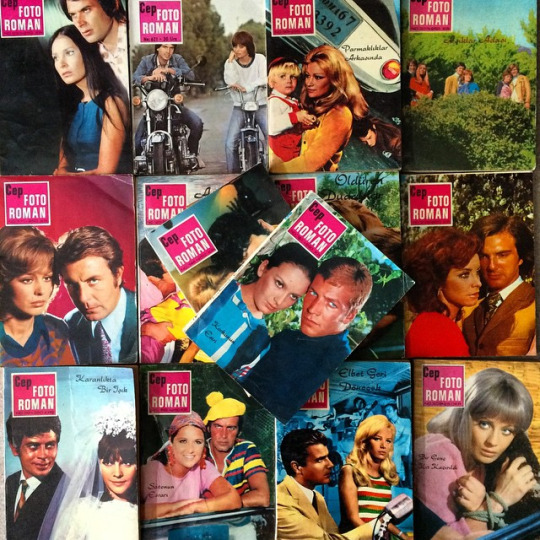 These novels created using the images taken from movie sets and resembling comic strips, were the archetypes of Turkish photonovel. In Italy photonovel also emerged the same way and because the sector succeeded, it formed its own scenarists and performers. 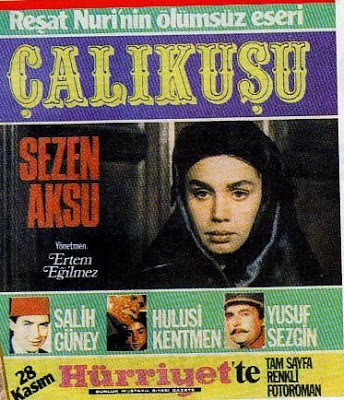 As mentioned in various sources, "Cumartesi Saat Dörtte" is the first original photonovel which was a film adaptation and in which the script was written as a photonovel. 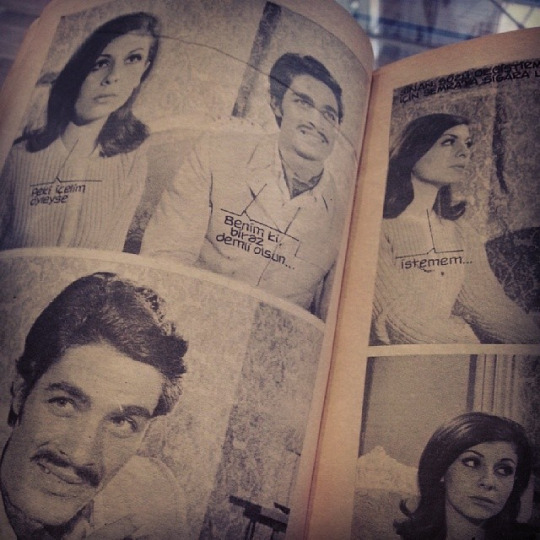 Due to the lack of photonovel sources in Turkey, it is argued that "Deniz Çağırıyor" is the first Turkish photonovel in the light of information we get from the internet and the newspaper archives. Moreover, we also see literature adaptations in photonovels apart from film adaptations. 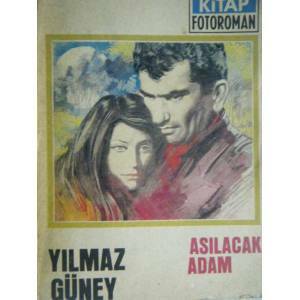 Ahmet Hamdi Tanpınar's most appreciated novel "A Mind At Peace" was also published as a photonovel. 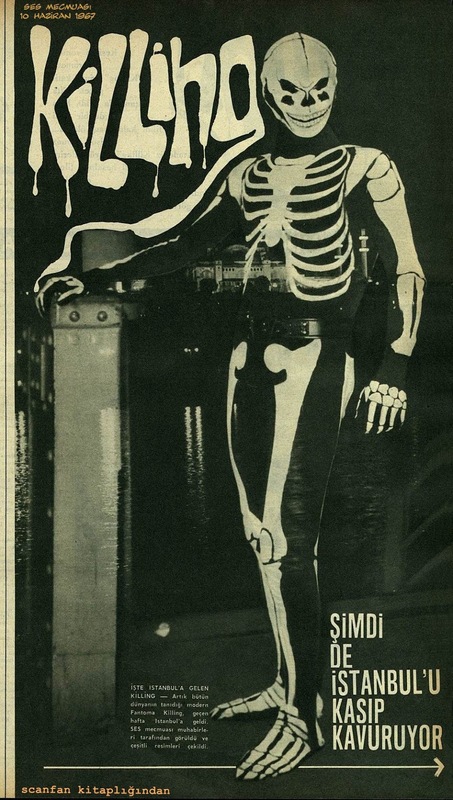 "A Mind At Peace" was published in Tercüman Newspaper in 1973 as a part of the supplement "İnci". (6) It is one of those novels which I find interesting as an adaptation into a photonovel, considering the state of unrest echoed in the novel and that I finished the novel slowly in 6 months. Adapting a novel like "A Mind At Peace" into a photonovel which necessitates a plain, fluid scenario as a service for popular culture and the need to appeal to different social classes, is interesting. Photonovel is well-loved in our country, that the characters in some photonovels were identified with their real lives. 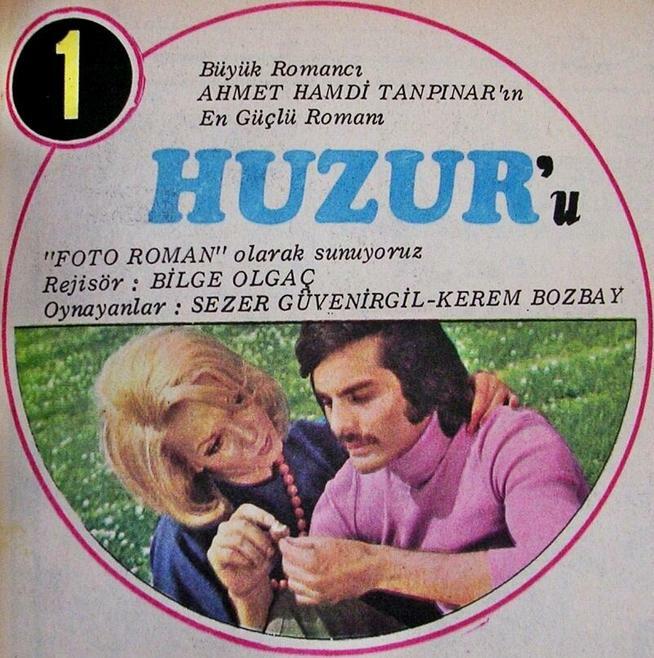 According to Nebil Özgentürk's column in Sabah Newspaper, due to the advertisement which can be called as viral in a photonovel involving Orhan Gencebay, people thought he was really dead. (7) Or reading about how Hülya Tuğlu, the actress known as the record holder of photonovel, mentions the readers criticize her dressing style in their letters and how she started changing her wardrobe in light of those criticisms, indicates the way Turkish public relates to both celebrities and photonovels. (8) Therefore, many celebrities which you may guess and may not (even Yılmaz Güney) appeared in various photonovels. Photonovels were a different way of becoming a celebrity in Turkey or following and reaching them. According to Agah Özgüç's essay, with the publication of Güneş Newspaper in 1982, the black and white era of photonovels comes to an end and the colored era began. This initiated more celebrities to partake in this marathon. Celebrities like Sezen Aksu, İbrahım Tatlıses, Cüneyt Arkın, Adile Naşit and others starts appearing in this popular medium. After I start looking at photonovels from a different aspect and as some kind of photobook, I began reading "Geride Kalan Günler" from Cep Fotoroman series in a new light. The first thing I noticed was that I was not really looking at the photographs when I was reading the novel and they remained in the background. Besides, whereas in photobooks the name of the photographer is prominent, in photonovels it is the scenarist and actors, and photographers are in the background. In photonovel projects, photographers are working as cinematographers. As is understood, photonovel has been a popular culture media. However, one cannot deny it is also a photobook. It is interesting that we see many experimental and unordinary photobook projects but not any influenced by photonovels as a genre which is quite well-known. I think the reason for this is that because photonovel has always been associated with popular culture and popular figures, intellectuals have always underestimated it, and that it is a genre consisting of romantic elements and appeal mostly to women. However, there are artists who make use of the aesthetics of photonovels. 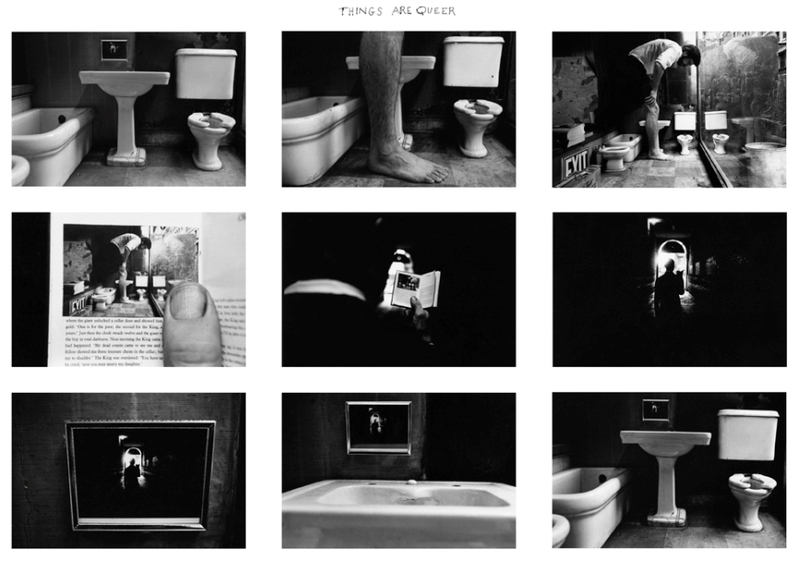 Duane Michals, Sophie Calle and Marie-Françoise Plissart are some I come across. 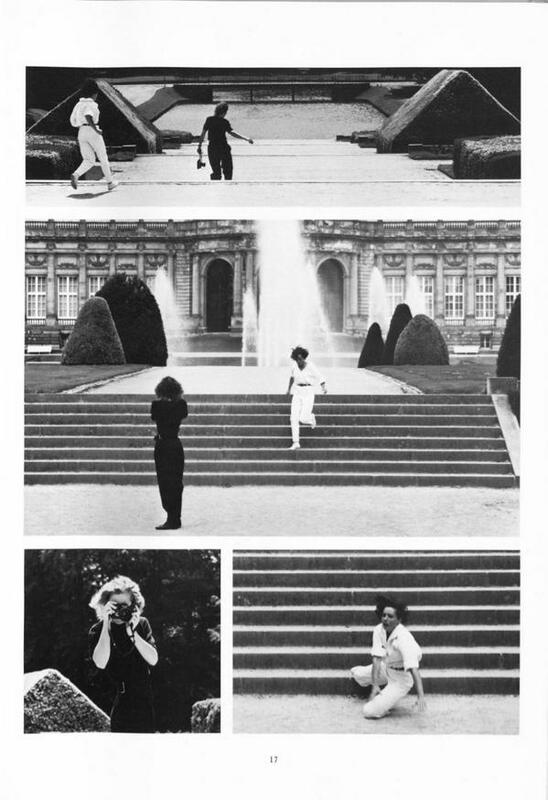 Plissart makes use of the aesthetics of photonovels in her book "Droit de Regards/Right of Inspection" she published with Jacques Derrida. However, in this book only photographs appear, there is no speech bubbles or writings. At the end of this 100 page photonovel, we see Derrida's essay on photography, seeing and sexuality. 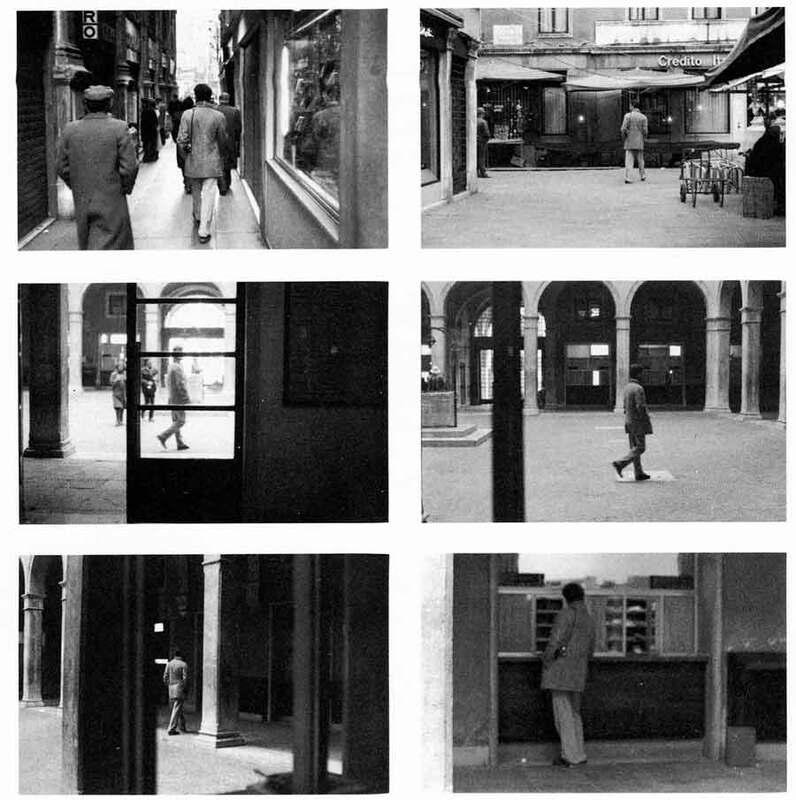 Sophie Calle, one of the artists whose works make good use of combination of photography and text, adapts the style of photonovels in her "The Sleepers(Les dormeurs)" and "Suite Vénitienne" but the text appear outside of the images. Considering the year 2016, even though photonovels are not really cherished, we see them occasionally as something nostalgia enthusiasts try to revive. For instance, Pulbiber Magazine publishes a supplement in every issue. In addition to this, the sophisticated way in which the term "click gallery" is used has become a "photonovel." Besides, the word "photonovel" lives as a word that inspired some photography studios as well.